Your vehicle can experience a range of different problems if the engine control unit goes bad. If the function of the engine control unit is not accurate, i.e. to record and interpret the sensor readings from various sensors and using the data to control different functions of the engine system, the performance of your vehicle can drastically drop and the fuel efficiency can be lost. As a result, the overall power of your vehicle and the responsiveness of your driving commands are significantly reduced. It can also increase the fuel consumption of your vehicle unnecessarily and create a lot more pollution, which can be a problem at the time you are having your vehicle’s emission testing. ECU system is also capable of optimizing the proper Oil conditions of your vehicle as well as the overall maintenance. Since it is an electronic device, it can go bad or fail due to various reasons, such as ageing, contamination, accident or exposure to the water. If it is damaged, the problem should be addressed as soon as possible in order to avoid trouble in the future. What is the Engine Control Unit or ECU? The engine control unit or ECU of your vehicle is the main component of your engine system that enables the use of all the other devices. It is also known as the powertrain control module, and it usually installed under the dashboard of your vehicle. Basically, it is an electronic unit that serves as a controller for a number of sensors and the actuators that are installed on the internal combustion engine of your vehicle. 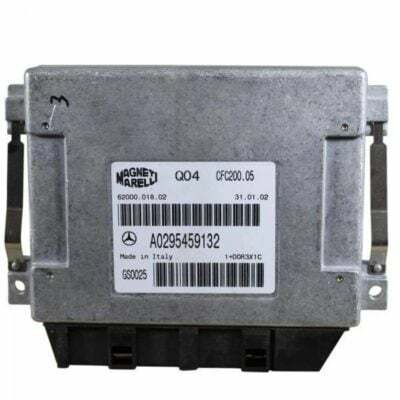 The core function of the engine control unit engine control module is to effectively maintain the optimum engine performance and the fuel consumption of your vehicle. It uses a series of various datasets generated by the sensors and interprets the results by manipulating the data for automatic calculations. A number of sensors transmit the data over to the control unit, which utilizes it to maintain the performance of the vehicle by applying multidimensional performance maps. It is further used to adjust the actuators of the engine. The engine control unit is generally capable of regulating and controlling the best performance of air-fuel mixture, idle speed, fuel injection, and ignition timing automatically with the help of sensed data. Previously all these parameters were mechanically regulated, which is now being computerized to handle these functions electronically. In several vehicles, the engine control unit can also control the fuel lines of the vehicle. In such cases, it is called the electronic engine management system of the EEMS due to the scope of its functions. The fuel consumption and optimum mileage are optimized by electronically injecting the fuel according to the requirement of the combustion using stoichiometric calculations EEMS are entirely controlled and manipulated by the sensors and the actuators on which this system rely on. The ECU is a vital component in modern cars because without it the car can stop functioning. Therefore, it is best to get any ECU related work solved as soon as possible. Usually, an ECU failure is accompanied by some problems that are easily discernable if you know what to look for. The first sign of any problem will show up on your dashboard as a shining Check Engine Light. This light comes on when a sensor senses an irregularity in the system, forcing you to get your car checked out. However, there are times when the Check Engine Light comes on for no reason. Using an OBDII scanner can show you, with the help of codes, if and where the problem exists. When the engine is not performing at peak output due to ECU failure other things like fuel economy will be affected. You might even experience loss in power while accelerating and because the engine is losing power at various intervals your engine will use up more fuel excrete clack smoke and reduce the life of your engine. This is perhaps the first thing you notice, but since ignition problems can persist due to other reasons such as cold weather you won’t give much notice to it. However, if you have constant problems starting your car, there is surely something wrong with your ECU. 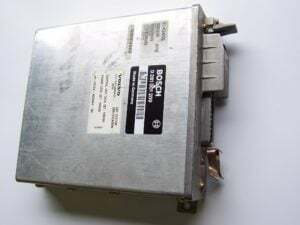 It is probably best to let a professional look at such a problem as they can expertly distinguish between an ECU related problem or any other problem. Where is the engine control unit located? The engine control unit is essentially close to the area where your engine is located. In many vehicles, it can be found under the vehicle’s dashboard right behind the glove compartment. However, the location of the engine control unit in different vehicles can greatly vary depending on the design of the vehicle. Therefore, it is highly recommended that the user refers to the user manual or the service manual that is provided by the manufacturing company. No matter the number of problems, ECU failure is easy to solve and usually requires a few minutes to assess. However, solving car related problems no matter how big or small requires some mechanical work which is best left to a mechanic. But that shouldn’t stop you from making your own diagnosis. This piece of equipment can be found very easily in the market. There are various brands competing in the market but honestly, the best one is that which works for you and your vehicle. Why should you buy one yourself? That’s because when you take your car to the mechanic the first thing he/she will do is attach an OBDII scanner to your car to grab the problem codes. The mechanic will charge you for this and for the repair he/she makes to your car, so you are better off buying a scanner yourself. Using a scanner is not rocket science either. You simply attach the scanner to the car via a cable and the car’s ECU will transmit a code to the scanner. This code can tell you exactly where the problem lies, so when you go to the mechanic you can tell them the code and ask them to work on solving the problem directly. Sometimes you can learn about any ECU related complexities just by the way your car behaves. This means, you won’t have to visit the mechanic workshop every time you see a Check Engine Light. All you have to do is use your own OBDII scanner, which will help you diagnose any ECU related problems and act on the problem. The engine control unit serves as a computer for your engine system. In case of a failure of the engine control unit, your vehicle may completely stop and you would not be able to start it. therefore, it is strongly advised to not wait once the problem is identified in the initial stages of the problem with the engine control unit. You can either repair or replace the engine control unit. However, if you go for repairs you may have to go through a lot of trouble and you will require special tools and knowledge to repair the circuit and the electronic components of the engine control unit. It is comparatively very different from repairing the other parts of your vehicle. On top of that after the repair, there is still not guarantee that it will function effectively and efficiently in future. Therefore, it is recommended that you chose the option of replacement in order to save money as well as a lot of time that you may waste on repairing it and the stress that you will have to go through. The replacement process is very easy as compared to the repairing. Here is a quick step by step guide on how you can go about replacing the engine control unit. Once the problem is diagnosed, acquire all the tools you will need for the replacement along with the new engine control unit. Clear the area for accessing the electronic control unit from the passenger compartment. Remove all the connections with the sensors and the electrical wires connected to the ECU. Tighten the bolts and put on the screws. Connect everything back to the original place, you may have to code the new engine control unit to your vehicle. Start your car and go for a test drive to check. 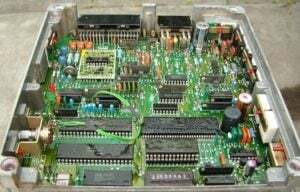 Engine control unit or module is an essential component of your engine system and relatively a more sophisticated part. Therefore, the price of engine control unit replacement can be comparatively very high. The engine control unit is like a brain of your engine management system without which all the actuators and sensors are rendered useless. It is to your car what motherboard is to your computer. The replacement cost for the engine control unit for most vehicles on average is typically between $880 to $960, but it can be easily over the higher range point. For some luxury vehicles, the price can go significantly higher than this average estimate. Apart from the cost of the parts, the labor involved for engine control unit replacement can be found for as low as $40 in some regions, while the mechanic can even charge you $130 or higher for this job. It depends a lot on the difficulty level of the vehicle, the mechanic you are dealing with and your location. See if the check engine light is turned on. Test the electronic control unit using the multimeter only according to the instructions given on the service manual provided by the manufacturer. Since the part is very sensitive and expensive, it is recommended to get it tested by the expert if you do not have enough knowledge as it can cause you more trouble.